If you have sought out diagnosis and treatment for your sleep apnea, you probably use a CPAP machine to help you sleep better and more comfortably — and to prevent seri-ous side effects in the future. But if you travel often, you’ve likely wondered: Does a more portable, hassle-free way to treat sleep apnea exist? Yes, there is an alternative to using a bulky CPAP machine, which can be difficult to pack and must be checked by security. The Moses® is an FDA-approved, custom-fitted appli-ance worn in the mouth at night to treat obstructive sleep apnea, hypopnea, and snor-ing. When you travel, this device can easily be packed in your carry-on bag or in your checked luggage — saving you time and trouble while going through security. 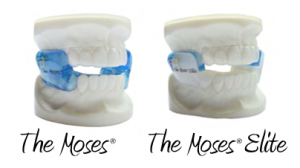 Wearing The Moses can reduce or permanently diminish your sleep apnea problems. This device separates the jaws and pushes them forward slightly, opening up the airway and allowing oxygen to flow freely. This device also activates reflexes in the tongue and reduces any grinding and clench-ing motions, which can cause chronic headaches and face pain. 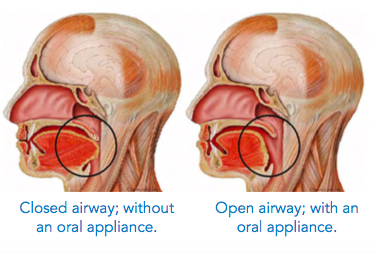 At Smiles at Fairfax Corner in Fairfax, VA, we offer The Moses to our patients looking for relief from sleep apnea because CPAP is not for everyone and many people do not need or want surgery. CPAP machines typically pose problems for travelers. The machine can be too large for carry-on bags and too heavy for luggage without making it overweight. 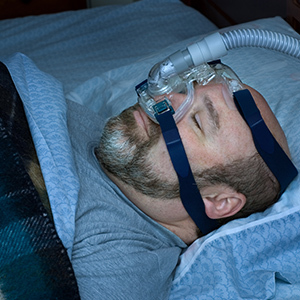 Travel-size CPAP devices exist, but these may not be cost effective for everyone. Although CPAP machines can be packed in checked luggage or in carry-on items, TSA personnel must inspect the machines. First, you will need to remove the machine from its carrying case and then allow it to be X-rayed. The machine will also be inspected physically for explosives. Some people place their machine in a clear, plastic bag before traveling to protect it. But all of this requires unnecessary care and trouble. When you wear The Moses, you can talk, close your lips, and even drink. You won’t wake up with dry mouth or experience an uncomfortable locked jaw. And you can easily pack this device in your bag without needing to take extra precautions. Wear The Moses correctly, and you’ll experience no pain or discomfort. Plus, you can feel confident wearing this device because it was developed by an award-winning den-tist and is regarded by dental health professionals as the most effective mouthpiece on the market for the treatment of snoring and sleep apnea. Imagine no longer being held back by your sleep apnea issues. Choose The Moses ap-pliance as the sleep apnea treatment for you, and you will live your life as normal and get restful sleep — without the need for a noisy, embarrassing, difficult-to-deal-with machine. Maybe you travel regularly for your job or you love jetting off to exotic locales. Traveling has enough complications without you needing to worry about your sleep apnea equip-ment. The Moses is a great alternative for travelers who suffer from sleep apnea, because it is easy to carry and to wear. Plus, it really does work. 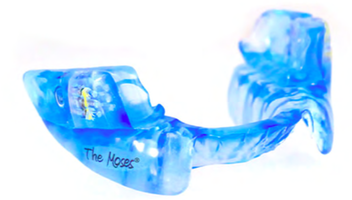 Think you want a Moses mouthpiece made uniquely for you? If you’re in the Fairfax area of Virginia, contact Smiles at Fairfax Corner today by calling us or by using the form on our contact page to set up a complimentary consultation about your sleep apnea problems. Don’t let your sleep apnea hold you back from traveling and living your life to the fullest!